The competition of the 16th edition of the Transilvania International Film Festival (June 2-11) features directors on their first or second film and this year maps a veritable conflict zone: stories on the edge of a knife inspired by real events or personal experiences, challenging situations and daring approaches, moral fables that are either extreme or nuanced beyond clarity, all taken on by emerging directors taking the kinds of risks that will surely bring them recognition. Of the 12 titles competing for the Transilvania Trophy, 8 are feature debuts. “Like every year, I go for singular, young, and courageous voices who do not play it safe and bet the whole farm on one card. In this year’s selection, the shock comes from where you least expect it, emotion simmers menacingly and ultimately to devastating effect, moral dilemmas and formal risks take audiences out of their comfort zone, while family relationships are put under great strain before any kind of relief can be experienced. The truths of life and the challenges of fiction — this is the adventure of the 2017 TIFF competition,” says Mihai Chirilov, the Artistic Director of the festival. No Romanian production is included in competition this year, but there are two local presences in the selected titles: actor Alec Secăreanu is the lead of God’s Own County. Recently rewarded both at Sundance and at the Berlinale, first-time feature director Francis Lee tells the emotional though by no means sentimental love story of a young British farmer and a Romanian migrant worker. From Sundance also comes Nana Ekvtimishvili and Simon Gross’s My Happy Familly, the story of a Georgian woman who decides to leave her husband on the evening of their 52nd anniversary, triggering a small family upheaval. It is shot by Romanian cinematographer Tudor Vladimir Panduru, also known for Cristian Mungiu’s Cannes-winning Graduation. A provocative debut comes from Polish director Bartosz M. Kowalski, Playground, a film inspired by a horrific murder committed by two British teenagers. And another disturbing approach on the way children are affected by the omnipresence of violence belongs to first-time Israeli director Yaniv Berman: Land of the Little People focuses on the struggle for territory between two army deserters and a group of kids for whom war ceases to be mere child’s play. Zeus looks at the special connection between humans and falcons, starting from the toxic relationship between the main character and his mother. This is the first feature-length film for Miguel Calderón, known as “the enfant terrible of Mexican contemporary art”, and is based on a true story that changed the course of the director’s own life. 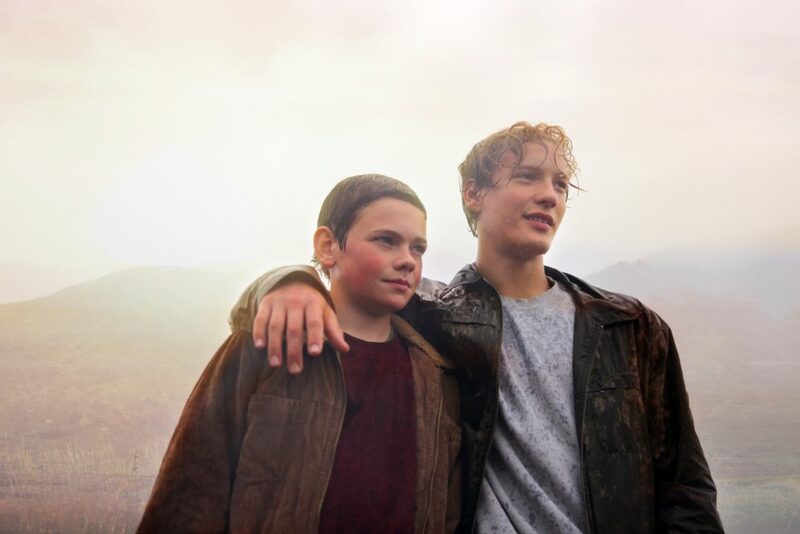 Also based on an equally personal experience, Gudmundur Arnar Gudmundsson’s Heartstone follows the sentimental trials and tribulations of a teenage friendship against the spectacular and glacial Icelandic landscape. A weekend reunion for a father and a daughter who are both habitual liars generates an adorable fare in Las Toninas Van Al Este, directed by Gonzalo Delgado and Verónica Perrota. Delgado is one of the co-writers of Whisky, the Uruguayan comedy which received the Transilvania Trophy in 2005. At the opposite pole comes Dmytro Moiseiev’s Chrysantemums Time, which takes audiences through the devastating odyssey of a young widow managing funeral homes, rapacious relatives, and her own faith in the aftermath of her husband’s suicide. Kristina Grozeva and Petar Valchanov’s Glory is a social fable about justice and manipulation. Awarded a special mention in Locarno, this film by the Bulgarian duo has at its center a well-meaning worker who ends up as a victim of the system. In Hounds of Love, the terrifying debut of Australian director Ben Young, a teenager is kidnapped and held by a dysfunctional couple. Emma Booth’s harrowing role in this feature brought her a well-deserved award for Best Actress in Venice. Simulation, the first film of Iranian director Abed Abest is the most visually compelling entry in competition. The abstract set design, entirely rendered in a black box, generates a serious dose of surprise and suspense. Filmed almost entirely within the confines of one apartment, Marc Crehuet’s El Rey Borni is a dark comedy played among four characters, and which focuses on the accidental encounter between a young man who lost an eye in a protest during the Spanish crisis and the the policeman who caused the accident.